Adobe AIR apps are starting to pop up more. After the Grant Skinner AIR app for digg.com it appears Kevin Rose has launched pownce which is a twitter/email/friend/social sharing site/service. 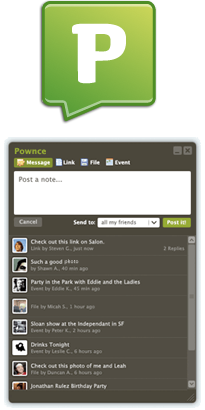 The desktop app for pownce.com is built with AIR. I believe AIR will really take off with these types of apps succeeding on it. 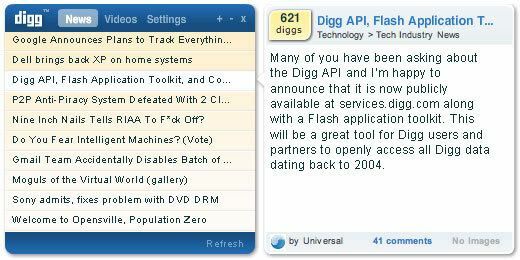 Pownce is only alpha but it is hard to see it not being successful with the amount of digg users that will spill over. Competitor to last.fm. I wonder how long til a last.fm air app. Other AIR apps can be viewed here including kuler, a twitter app and more. And also here at Rob Christensen’s blog. I was doing some SEO research into how well the Silverlight name is positioned. 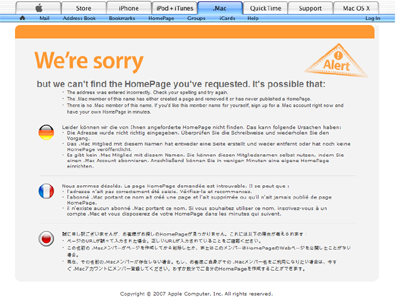 I was surprised that www.silverlight.org goes to a Microsoft placeholder site but http://www.silverlight.com/ goes to an Apple placeholder. 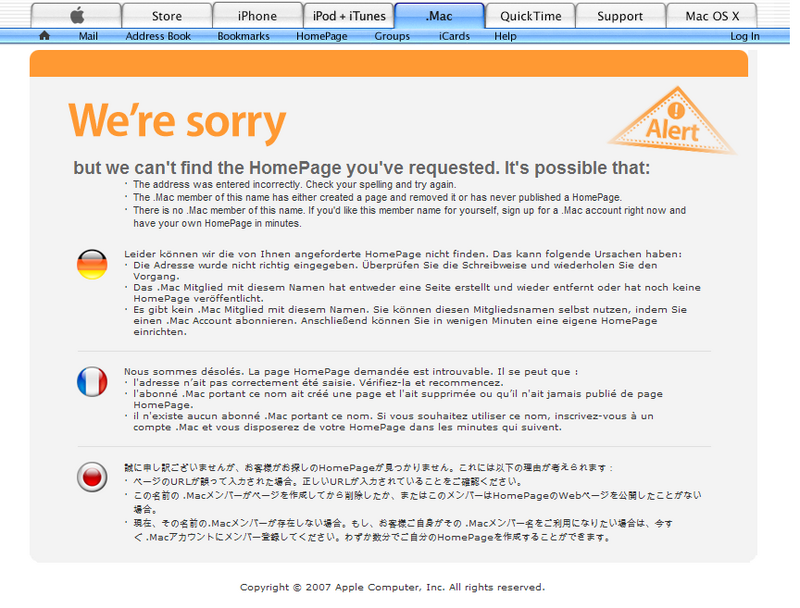 This is probably a MAC user that owned this domain its whois has a contact with an @mac.com address. I wonder if they just his it big in a domain sale. UPDATE: Well someone worked quickly it now has some business information and products.